Every Sunday at noon I walk into a Level 3 NICU and hold babies. I am not a doctor or a nurse. I have no medical training at all. But I am a NICU volunteer, and in that capacity I have learned how to keep feeding tubes, central lines, IVs, and heart monitors untangled. I have learned which babies like to be rocked and which like to be patted. And I have sat silently out of the way when someone’s heart rate spiked or breathing slowed. I tell you this not to applaud myself. (I do what I do because I need to; because my son started his life in that very NICU and because it healed him.) I tell you this because one result of my time in the NICU is a collection of strong opinions about prenatal care and newborn health. I care deeply for the babies I visit each week. And because of that deep concern and affection I feel compelled to speak on their behalf. So it is that I am about to do something that I have disavowed in the past. I am about to judge. I read earlier this week that the Duggars are ready to have another baby. Similarly daunting [to the concerns about finally having Josie at home] are the very real medical risks Michelle could face with another pregnancy – particularly a return of preeclampsia, which can lead to a stroke or prove fatal. But despite the risk – and intense criticism – the pair vow to stick to their beliefs. I should state here that it is not the premise of a large family that bothers me. Nor am I bothered by the religious doctrine behind it. (I should clarify: I don’t agree with the Quiverfull movement at all, but I’m fine with the idea of developing a family around your own beliefs.) The Duggars are entitled to their choices and they seem to manage those choices well. They are a happy (and debt-free) family each of whose children had been born healthy until Josie arrived. If they can follow their convictions, choose this life, and make it work then I say bravo. But it seems to me that these convictions and choices aren’t working anymore. According to Quiverfull doctrine, barrenness is God’s decision and something to be accepted and dealt with through prayer. And while Michelle Duggar obviously doesn’t have any problems conceiving a child, I wonder if her inability to carry Josie to term should also be interpreted as God’s way of communicating that she should not bear more children. (Again, these are not my beliefs; I’m just trying to apply the Quiverfull doctrine consistently.) The Duggars, however, do not seem to think so. They are ready for #20, and I am aghast. I hear this news and I think about the babies I see each week. I think about their discomfort. I think about how many of them struggle for months just to learn simple reflexes like swallowing. And I think about the constant hums, dings, and flashing lights of the NICU and how it is nothing like being at home. As I think about these things, all of which the Duggars almost certainly experienced during Josie’s six months in the NICU, I wonder how they could consider another pregnancy. How could they possibly be willing to put another child (not to mention the rest of the family) through that experience again? When will they say, “We have been blessed enough”? At what point does the accumulation of God’s blessings stop being holy and start being greedy? As far as I’m concerned, the Duggars are treading precipitously close to that line. This entry was posted on Friday, August 13th, 2010 at 5:00 am	and is filed under Choices, Culture. You can follow any responses to this entry through the RSS 2.0 feed. Both comments and pings are currently closed. 1. Why does it matter that the Duggars already have 19 kids? There are women all over the country who knowingly enter into high risk pregnancies every day. Perhaps they married late in life, or struggled with fertility problems. Should they not be subject to the same judgments as I’m leveling against the Duggars? I don’t believe so, but I can’t articulate why yet. Nevertheless, there are logical inconsistencies in my thoughts here if that is not the case. Either the issue of endangering the life of a future child is bad, or it isn’t. How many children the couple already has shouldn’t be a factor. 2. What if the Quiverfull movement identified riches (money, property, jewelry) as God’s blessings. This movement chose one passage from Psalms (127:3-5) as the foundation for their believe that children are God’s blessings. But what if they’d picked another verse and built their movement around the tireless accumulation of wealth? You can find scripture passages to back almost any position. Would their movement be so socially acceptable if their “greed” about accumulating God’s blessings were tied to material wealth rather than children? 3. I truly don’t know what the chances are that the pregnancy of a 20th child would post serious health risks. For the sake of argument, let’s say it’s 40%. If a parent took an existing child out to participate in Activity X and there were a 40% chance that the child would end up in the ICU for six months (as was the case with Josie Duggar) wouldn’t we believe that the parent was reckless and endangering the life of the child? Yet when those risks are applied to a pregnancy we view the situation with a much higher level of tolerance. Why? I don’t really have any answers for you, but those Duggars are whacks. I especially like your last point about the 40% risk…never thought of it that way. I wondered about the risks to the mother. Is the mom putting her health in jeopardy for #20. This seems selfish to me. I wonder if the Duggars are also looking at the fact TV ratings will go up with one more child, more attention will be drawn to their family. Would they still be debt free without all the notoriety? Its true, these parents take care of their children, and are debt free and are free to determine how comfortable they are at with the risk involved. Except..6 months in a NICU has to be very very expensive..who pays these costs? Katybeth – I can tell you from personal experience that a Level 3 NICU runs about $2,500/day just for being there. All other tests and procedures are billed on top of that. I have no idea what kind of insurance the Duggars have. Given the fact that they are (presumably) debt-free and have a 7,000 square foot house among their assets I’m sure they don’t qualify for Medicaid. If they are on an employer plan of some kind they probably hit their out-of-pocket maximum and their insurance plan was stuck with the rest. I hadn’t thought about Michelle Duggars health risks. I was thinking primarily of the baby. If she gets pregnant again and some complication either incapacitates or kills her, then all those kids are left to grow up without a mother. Single father of 20? That couldn’t be a pretty picture. Aghast. That is definitely the word for it. I simply cannot understand this. You did a great job filling in the background of their convictions, which helps a bit. But there seems to be a line of logic that they have crossed. Perhaps an example of applying religious beliefs in an extreme, misinterpreted way. Another problem I have with this is a sort of selfishness. By having 19 or 20 kids, the Duggars are being selfish in using so many of the Earth’s resources. I tend to believe 2 kids is the right number: 2 parents, 2 kids. There’s a certain symmetry to it. Overpopulation is becoming a crucial issue for our generation. What if we all felt it was our right to have 20 kids?? It’s interesting…I was mostly thinking of the mother’s health risks. It infuriates me when I hear of women of other religious traditions who do get pregnant when they have risks of blood clots, etc, and are simply getting pregnant because they think they should. The long and short of it is: they want more children. If they didn’t, I think they’d find a way for God’s message to be interpreted such that they are finished having children. Call me cynical, but that’s my thought. And in conclusion…I consider myself pretty deeply religious, and I just don’t think the God I worship would think any less of Mrs. Dugger if she stopped having kiddos due to major health risks. Let me start by saying that I think the Duggars are a strange breed, but in our country they have every right to be s strange breed; it’s the American way – freedom of choice applies to everyone. 19 children is crazy to me, but who’s to say what the right number is for each family? She now faces a long list of inherent risk just by her conceiving a child. But, and this is a big BUT, for her, succumbing to the societal pressure to not try for more children is like her telling God she’s in charge and he’s not. For a family that so clearly lives with faith in God (and a scripture that extols childbearing) as a focal point of their existence I cannot imagine a situation where they would say, “Yea, we’re done listening to God and letting him decide if we should bear more children. We’re still going to listen to him in every other aspect of our life, but on this topic we’re taking matters into our own hands.” It’s just not who they are. And in this country if you believe in freedom of religion, then they cannot be convicted. They have been true to this religious belief for the past 20+ years. Their lives up to this point have indicated that they will have children as long as God gives them, so it should be no surprise that they are leaving this decision to God. I do not lean towards calling them selfish because I truly believe that they believe in what they practice. It’s not the religious movement for me, but in a way I admire their unwavering faith. Is the Quiverfull doctrine wrong? Is it wrong and selfish to take a risk that could result in giving life? (Just as an aside I think comparing the high-risk creation of life to taking an extreme risk with an already born, healthy child is a little flawed.) I think we can all answer these questions for ourselves, but watching this family for the last 5 or so years did anyone think they would change who they are now? 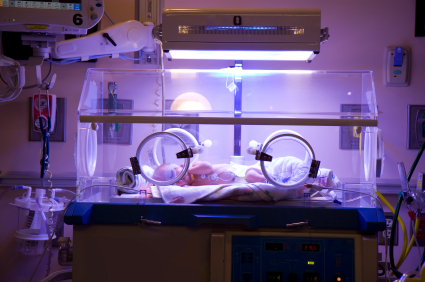 As far as knowingly having a child that will be in the NICU and face an uphill battle from birth (which no one knows for sure, but some people have legitimate higher chances of) – is it better to not have that child at all? This is a big question, much bigger than the Duggars. When should hospitals draw lines on the cost of caring for a newborn? Is someone who knew they had higher chances of a pre-term delivery less entitled to NICU care and expense than someone who had no indicators that their unborn child would need the NICU? When should they draw the line on the cost of caring for the elderly? When is medical expense too much? Does someone who had alcoholism earlier in life and overcame that disease less deserving of a liver than someone who has liver disease? They’re both diseases, right? These are those very touchy medical questions and I appreciate the medical professionals who have to deal with them every day. Great topic, Gale. The more I think about it the more I realize it is intertwined with religious beliefs, political rights, health care ethics and judgment of human behavior. Certainly not a first date topic, but kudos for you for taking it on! For me, you’re preaching to the choir. I agree with you 100%. I especially like how you point out the 40% (theoretical) risk and how that would apply to general parenting. To me, this has turned into an ego driven issue, rather than a religious one. If there wasn’t ego involved they wouldn’t be writing books and signing television contracts. They would be happily living their lives, letting their example speak for itself. Bridget – Thanks for this very thoughtful response. As always, I really appreciate your perspective. You raise a good point in that their faith is such a huge part of their lives and their decisions about children that they would never choose to “defy God” and make the decision on their own. I guess by that logic menopause is the only thing that will cause them to quit having babies? GAP and I had the discussion about the Quiverfull doctrine last night. I don’t agree with it. I think it subjugates women a great deal and places their value in their ability to bear children. But the moment we start chastising beliefs is the moment this country stops being free. It’s not the belief system I struggle with. It’s this one tactical decision that I think is risky, misguided, and dangerous. As for you comments about medical costs. Wow. That is a whole other topic (and one that I’ve been toying with posting about for a few weeks now). It’s such a hairy beast, though. As you said – it intertwines religion, politics, medicine, and morality. Not for the faint of heart to be sure. At any rate, thanks again for your perspective and for being a part of the conversation. I am a little late to the commenting game tonight, but I really agree with a lot of what Bridget said. When I heard that Duggars would welcome a 20th child, I wasn’t appalled like many people were. I figured it is their choice (and not necessarily one I would make), although I did cringe a bit at the thought of all of them going through something like that again. A friend’s wife had their first baby around 26 weeks (due to HELLP syndrome and preeclampsia) and it breaks my heart to think about all they went through. They were definitely at risk to have another NICU baby, and they went on to have 2 more children, who were born early as well. I never saw this as a selfish move on their part – i thought they must be very strong to know what they were facing and still want to risk it for their future children. It doesn’t seem right to say that they shouldn’t have more kids simply because they could be taking a risk. Did they not deserve the NICU resources because they were at risk with the pregnancies? I obviously think they were very worthy of those resources. And I agree with Gale’s bonus point about how many children the couple has shouldn’t be a factor. And saying that 19 kids is enough – well, some people might think 1 kid is enough, so who are we to tell them anyone that the 19th or 20th (or 3rd or 4th for that matter) child shouldn’t be born? And I also agree with Bridget’s comment about the faulty logic of comparing pregnancy risks to child that is already born…although I am not sure exactly why. So let me think about that and maybe we’ll all continue this discussion next week if Gale posts more on the topic. Laura – I wondered if you’d weigh in on this one! Thanks for your comments and for joining the conversation. I feel that I should clarify that I don’t believe the Duggars don’t “deserve” NICU resources once a baby is born. A baby is a baby and any baby who is sick deserves the best care available. No exceptions. And as you mention, for more conventionally sized families I don’t have the same adverse reaction to knowingly entering into high risk pregnancies, which I realize is logically inconsistent. I’ve tried to crystallize my thoughts around that topic for a several days now and I still don’t have it totally figured out. But I think it’s something to do with risk vs. reward. I believe that couples who dream of becoming parents – especially given all of the fertility advancements of the past 20 or so years – should have the opportunity to realize that dream. And I recognize that this sometimes entails risky pregnancies. But once a couple has the “reward” of a child (or a few children?) I believe the risk in pursuing more kids doesn’t warrant the risk either to the future child or to the mother who could suffer long-term consequences as a result of that risk (and now has children who need her). But again, as you state, who is to state what the “appropriate” number is? Should the couple stop after one child? Two? Three? These are difficult issues to address, and maybe impossible situations to form perfect opinions about. We are imperfect, human creatures and in these emotional matters of life, death, risk, and new life I suppose it is understandable that our hearts will lead our heads and we will always have views that are logically flawed, if well-intentioned. Nevertheless, when I have such a strong reaction to news like the Duggars’ I think it is only fair and appropriate to explore it and work to understand why I responded the way I did. This is a fascinating discussion, Gale, and quite the hornet’s nest. Another offshoot – the stories that have been in the press concerning women in their 50s, 60s and older seeking to bear children. Just because medical science makes something possible doesn’t mean it is right or even rational. But I agree with you – I certainly don’t want to be the one to make that decision for someone else. Our country is founded on principles of choice – not always even applied, to be sure – but principles nonetheless. As for the number of children a woman “could or should” bear – I think the woman who wants 8 children (preferably with a partner and the means to be good parents) is as entitled to desire that as the woman who does not wish to have children at all. Large families are part of culture and heritage to some, not just religion. Where I have a problem with things is when a child is put at risk, though I admit I immediately thought of the potential danger to this mother while reading this, and the possibility of those other children being left motherless. Then again, with the age ranging up to 22, they are their own “village” at this point. Much food for thought here. I believe the choice is theirs, but I’m inclined to agree with Kitch on this, bottom line. Incidentally, may I mention that I find it incredible that you visit the NICU on a regular basis? I know your mentioning that wasn’t so you would receive kudos for doing so. It was to set the context for this discussion. Nonetheless, we don’t all have the emotional makeup to do what you are doing by being present for those babies. And I think that somehow that presence helps them. Touch is extraordinarily important, and I believe deeply in its power to heal. I am glad there are people like you who offer this kind of caring in very tangible ways. Wolfie – Thanks for both of your comments. I like your insight about our country being founded on the principles of choice, if not the application. I guess, though, in situations like this we have to make mental and emotional room for the application of that choice. Otherwise it’s all just window dressing, right? It’s just so hard to watch someone do something that they are entirely within their rights to do, but which you firmly believe is wrong for multiple reasons. I don’t want the world to be full of people who are merely mirror images of myself. But there are certainly times when I desparately wish I could foist my beliefs upon them. As for the NICU, thank you for your kind words. There are days when it is hard. But there are days when it is a true joy. You get used to the tubes and cords and buzzers and beeps. And you take a baby who doesn’t get many visitors and you hold him/her for a couple of hours and think, “This might be the most prolonged contact this baby gets all week.” It breaks your heart, but it also helps you realize that your presence there is important in ways that can never be articulated in words. As always, thanks for being a part of this challenging conversation. I don’t know. What about the responsibility she has to her 19 children and who would care for them should she die or become incapacitated from this 20th pregnancy? Who are we to criticize these beliefs? I don’t know – but we do all the time – take polygamy. That’s a mormon belief, but the country (and lawmakers) have still passed judgment on that. I think you make a good point about the 40% risk – would you allow your child to do something that put his life at risk to that great degree? Would the law allow it? I don’t think so. Bravo for tackling this one. It’s a complicated issue to be sure. It’s hard to see reason in what they choose, and yet I’m torn. I would never choose to do what they have done, my goodness I’m wrangling with just the thought of three, but I’m torn because I appreciate their free will and right to choose. However, I agree with you completely when you say they are walking dangerously close to the line. I actually would have thought that several children ago. Darn it, I’m so late to this conversation! As a former NICU parent, I saw several babies that had so few visitors. It was heart-wrenching. Thank you for giving them some extra love. My understanding of the Duggars was that they aren’t actually TRYING to have another baby, but would be welcoming if they had another? For some reason, that makes it better in my mind. I think that the millions of babies out there that are in the NICU because of the lack of prenatal care or lack of healthy living habits that may go home to families that are not interested in learning the skills to parent is the real tragedy. Anna – You are so right about the fate of many NICU babies. I’m learning every week that many babies are there because their mothers didn’t take proper care of themselves during pregnancy and ended up delivering early or poorly developed babies. Then many of them view the NICU as free babysitting and don’t visit much, if at all. This is certainly not always the case. There are plenty of babies who are there despite the very best intentions and efforts of the mother. Nevertheless, for those babies who lie alone for most of the day your heart just breaks. As for your point about the Duggars, I view it a little differently. No they’re not “trying” to have another baby. But if I drive down the highway at 20 miles over the speed limit I’m not necessarily “trying” to have a wreck. But in not trying to prevent the wreck by driving at an appropriate speed I’ve pretty much opened the door to disaster. I think there’s a point at which, as adults, we have to take control of our lives and recognize that there are many other people affected by our behavior. Just because we are comfortable with our own risky behavior doesn’t mean that all the people around us have signed up for the same wild ride.